From Provence down to Sicily, pink wines are an integral aspect of the Mediterranean lifestyle. 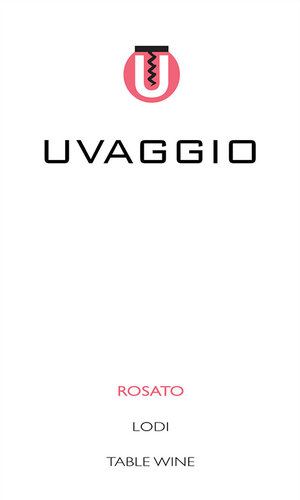 With this wine the Cinsault vines (no, it is not Frappato) were harvested in early Sept, at a maturity lower than for a red wine, so it is fresh and lively (not the consequence of bleeding a tank). We blended some Vermentino juice in with the Cinsault to both prolong the fermentation and add complexity. Once completed, it was racked and held in a neutral vessel. Then just before year’s end, it was very lightly fined, followed by another racking and gently filtered prior to bottling. Bright, fruity and engaging; with citrusy blood orange and tropical passion fruit aromas and flavors.